Every year, nearly 20 tons of new minerals must be provided for every person in the United States to make the things we use daily, from the iron ore used to build cars, buildings, and bridges to the copper used to carry the electricity powering your laptop. To thrive in this modern era of mining we must rapidly adapt to the ever-evolving expectations of our industry. By leveraging technology, embracing modernization opportunities in operations and sustainability, and considering new mineral possibilities to broaden beyond the roots of the iron range, we insure a successful future. A modern industry begins here. Thank you to all for submitting abstracts! 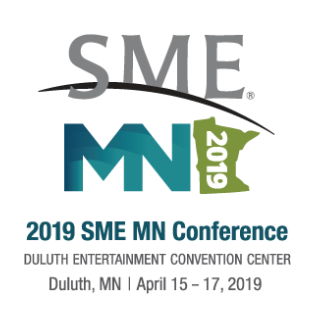 The SME Minnesota Conference is the perfect opportunity to expose your brand to top decision makers in the iron ore industry.